Born: June 21, 1892 in Dedham Ma. Died: August 17, 1977 in Bourne Ma. at 85 yrs, 1 mo, 25 d.
Where Lived: 98 Scraggy Neck Rd. in Cataumet Ma. 1. 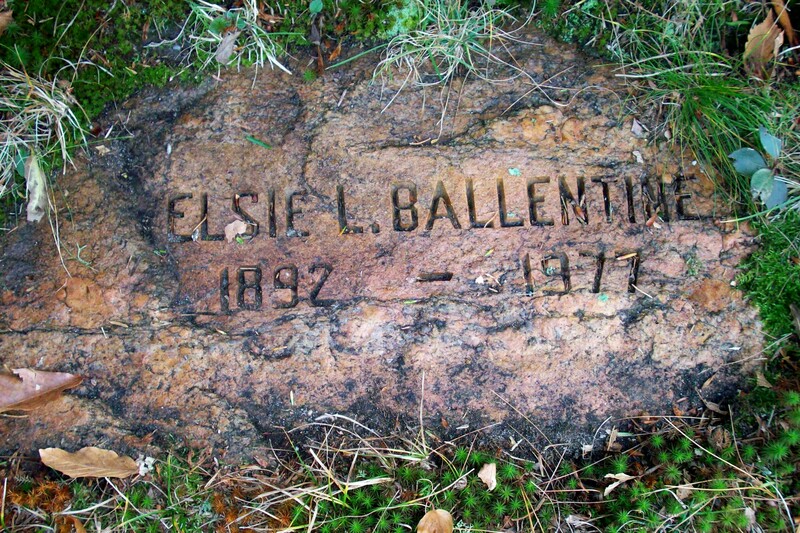 Avis Elizabeth/Betty Ballentine Phillips; (March 3, 1916 – March 26, 1999); Married George Loring Phillips (1917 – 2006) (Reginald Evelyn Phillips & Louise Gertrude Wilde); Betty & George are buried in Brookdale Cemetery in Dedham Ma..
2.George Francis Ballentine, Jr. WW ll; (July 27, 1917 – January 30, 1993); Married Isabel Foxcroft Handy (1923 – 1984) (Robert Sylvan Handy & Mary Carleton) in Bourne Ma. on February 28, 1942; George & Isabel are buried in Cataumet Cemetery. 3. Leonard Arnold Ballentine, WW ll; (October 11, 1918 – February 14, 1999); Married Sylvia Lee Webster (1921 – 2016) (Streeter Edward Webster & Anna R. Griffin); Leonard & Sylvia are buried in Cataumet Cemetery.